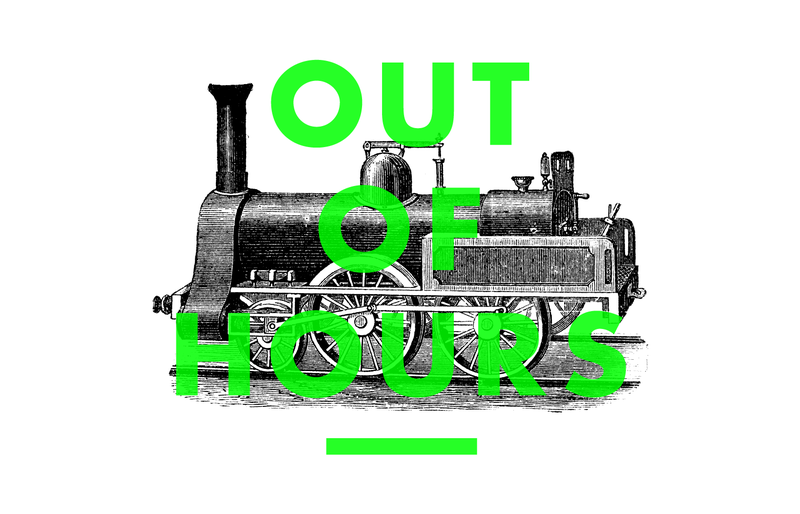 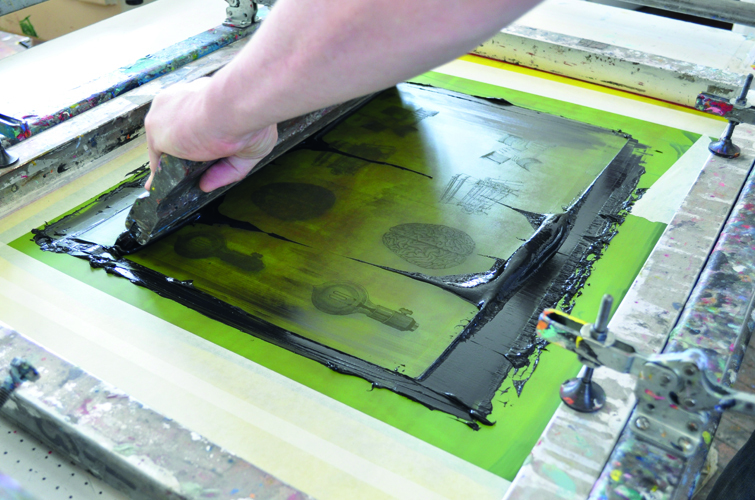 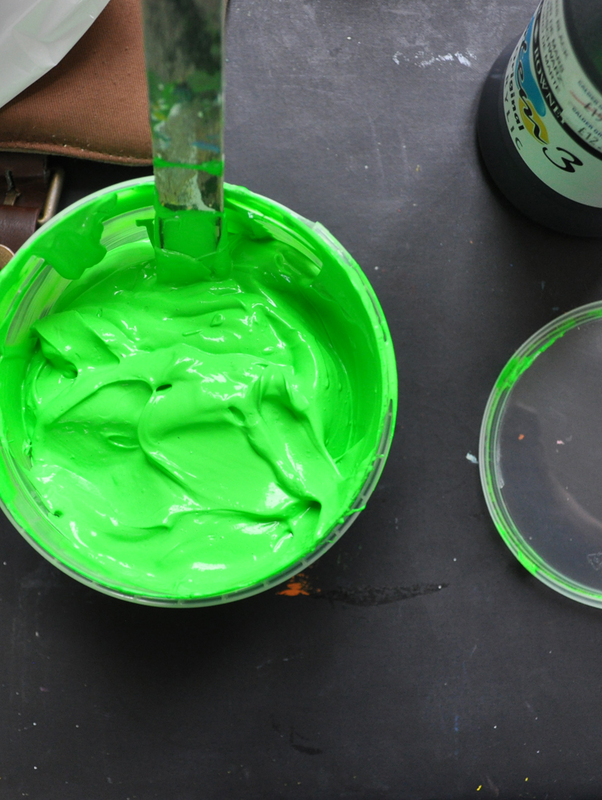 Out Of Hours is a collective of artists, designers and craftsmen that want to make things happen. 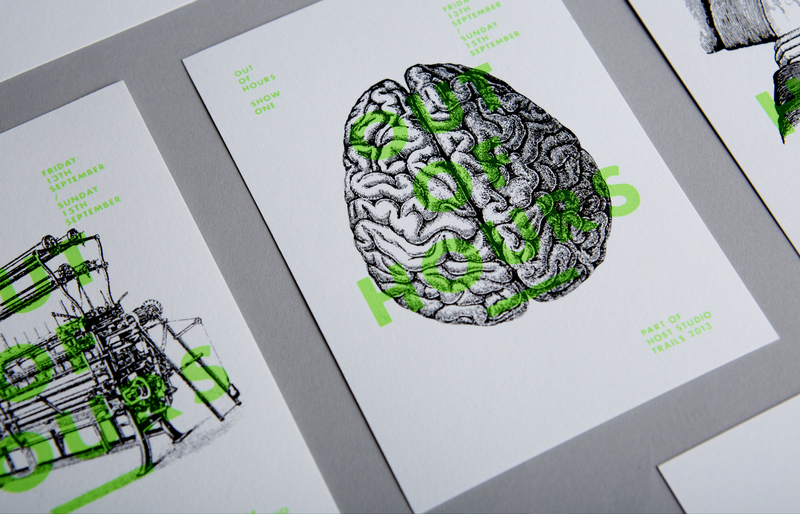 We were asked to be a part of, and brand the group’s first show. 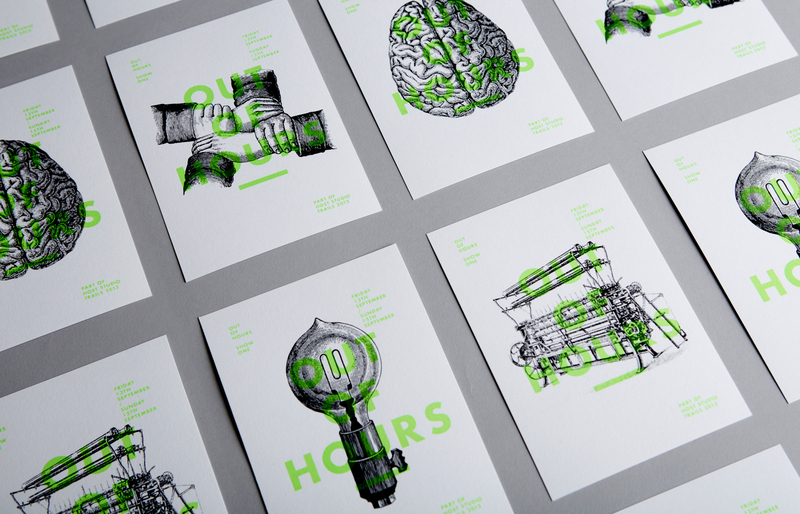 We helped name the collective and create a visual identity to reflect the theme of the exhibition — industry. 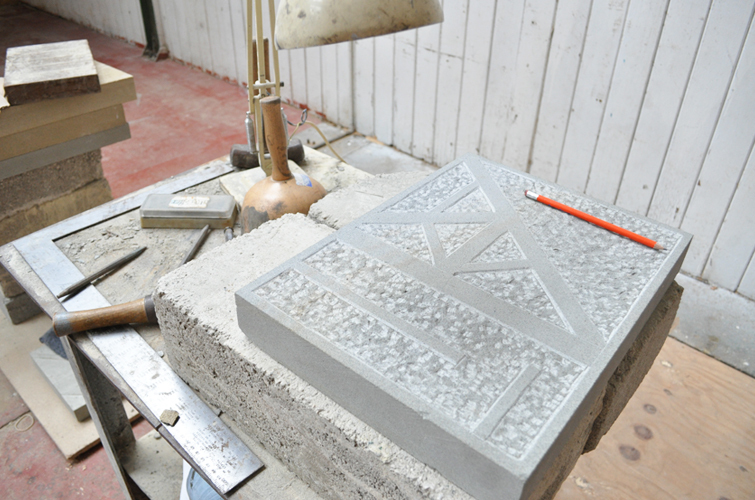 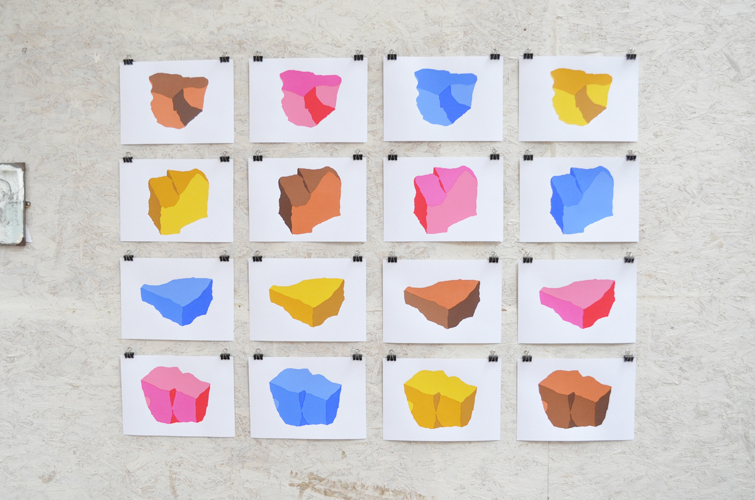 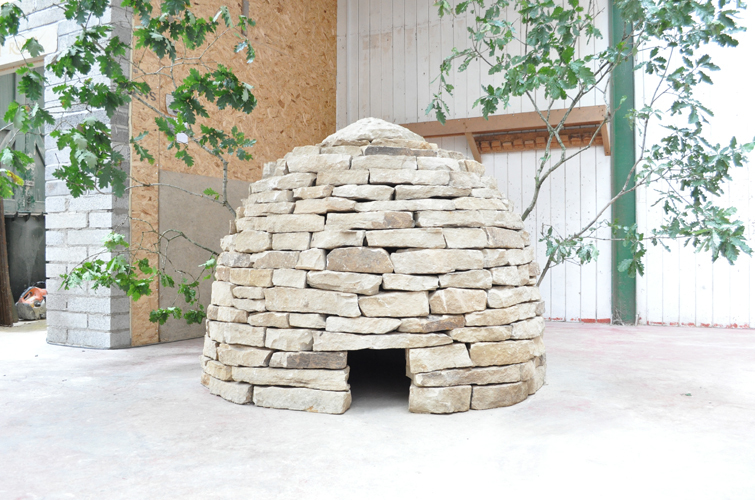 The location of the show took place in the stone carving workshop of two of the members of OOH, and the work created was a response to the space. 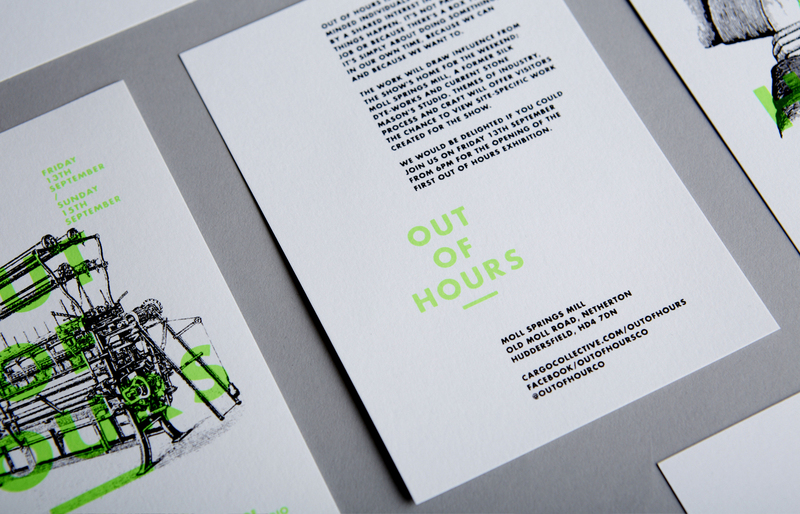 The identity also took cues from the site, and was also reflected in the process of the invites and posters, all hand screen printed and sold on the evening.